How Much Does It Cost to Restore a First-Generation Mazda MX-5? Part of their thrust to deepen the bond between car and driver, fourth-generation Mazda MX-5 Program Director and MX-5 Ambassador Nobuhiro Yamamoto flew into Manila to personally present the much-acclaimed MX-5 NA Restoration Service as well as a piece of great news. Realizing the first-generation roadster’s contribution to car culture, Mazda first announced the restoration service way back in 2016. However, it took another year to get suppliers on board, and a few months after that to finalize the quality to get the Restore Program on track. Yamamoto-san explained that Mazda’s vision for the NA Restoration Service is to emulate the Mercedes-Benz Classic and Porsche Classic programs and thus studied the carmakers’ restoration workshops. However, unlike their German counterparts which can spend up to a year restoring a vehicle, Mazda has kept the process down to two months. In order to achieve the quick turnaround, Mazda is limiting the number of MX-5 that can undergo the restoration process. That part has been documented before, but Yamamoto-san was able to shed light on what makes a car worthy or not. For starters, Mazda has limited the batch of restorable MX-5 to only the NA6C and from that, only the Standard, Special Package, V-Special, and J-Limited are applicable. Once the car passes those criteria, Mazda’s restoration specialists will do a visual inspection. Vehicles with rust, customized parts (such as chassis brace), and welding repair are not allowable. If owners decide to go for the whole shebang, the cost is an eye-watering 4.85 million yen. Putting that into perspective, the top-of-the-line MX-5 RF ND costs just 3.8 million yen. 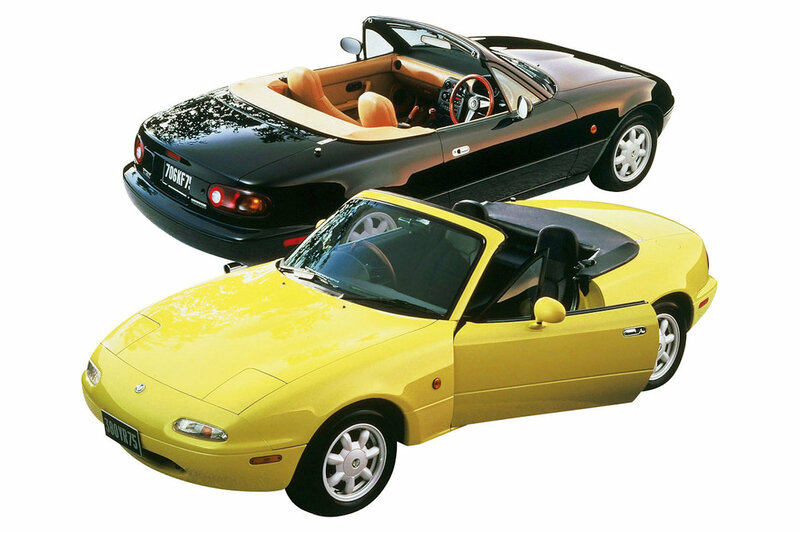 Admittedly, that’s a bit rich for most MX-5 owners, but Yamamoto-san points out that because of the hand-built, hand-assembled nature, these restored roadsters will have quality not possible during mass production. The paint, for example, has a higher brilliancy than even the original. Furthermore, each restored roadster will come with a detailed restoration record from Mazda and TÜV Rheinland increasing its status as a true collectible. Born out of love for the MX-5 roadster, Mazda desires to grow a culture that encourages enjoying a vehicle for years and while the NA Restoration Service is only available to Japanese customers, Yamamoto-san said that it’s possible to open it to owners outside Japan as well. For now though, he mentioned one great piece of news: Mazda Philippines will start carrying restoration parts through their dealership network, confirming news reported last September.